We have two great venues for paintball in Cheshire. 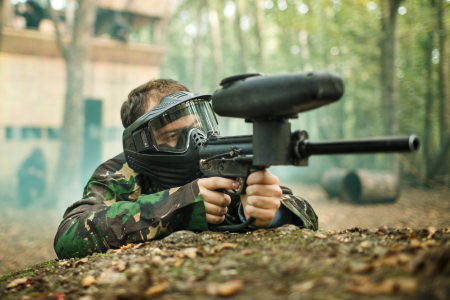 The Macclefield venue is located just outside of Congleton and is very convenient for Paintballing in Cheshire and can be accessed from most areas. The site offers 5 great arenas and guarantees at least 8 exciting games of paintball. Warrington also offers a great alternative to the Cheshire venue with great facilities and Paintball games zones just outside the Manchester area. We also offer a site in Stoke that could well be more convenient for some Cheshire residents and is another amazing venue for paintballing. The Gunsite, Moor Lane, Chester, Cheshire, CH4 9AQ.